Tata Steel has put forward the site of its Swinden Technology Centre (STC) in Rotherham for a potential residential development, and housing could start to be built within the next five years. The STC mainly focuses on product research and applications research for the transport, building and construction sectors but Tata considers that it is no longer a suitable home for the R&D arm and announced that it is relocating research to Warwick University earlier this year. 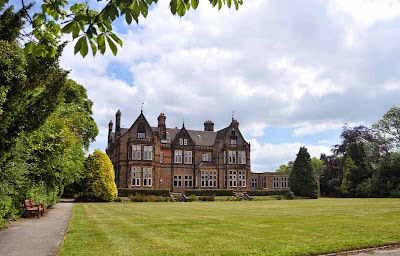 United Steels acquired the site in 1946 and in addition to research laboratories, it also includes Swinden House, the former home of Rotherham solicitor Thomas Badger, plus playing fields, tennis courts and orchards. The site extends to 6.9 hectares. With the final vacation of the site expected in the next two to three years, the Indian-owned steelmaker has responded to Rotherham Council's final draft of its sites and policies document which sets out the detailed sites and development management policies to deliver growth over the next 15 years. Property consultants, Harris Lamb, on behalf of Tata Steel, has objected to a 0.55 hectare site being put forward to continue as business use and instead supports residential development at the Moorgate site. The representations outline reasons for the R&D relocation and the unlikely event of the 1960's built Swinden laboratories finding another business use. Sam Silcocks, senior planner at Harris Lamb, said in the documents: "STC is no longer a suitable home to the research and development arm of Britain's second largest steel manufacturer and Tata Steel (UK) Limited has therefore carefully considered its position on the site. "To be successful Tata Steel need to secure more modern, efficient and effective research and development facilities to continue its research into the "next generation of steel" for the car, aviation, mining, energy and construction industries. Rotherham does not have the marketplace or profile to deliver this high end research and development function. The decision has therefore been made that Tata Steel (UK) Ltd will be relocating its research and development function to a location where this sector thrives." Jeremy Wilson, a chartered surveyor at the Sheffield office of Knight Frank has given his expert opinion on the possible future for the site. He said in a letter to the property consultants: "Market evidence would suggest that there is neither significant pent up demand, nor active on-going demand for R&D facilities within the Rotherham area. "The only identifiable demand is coming from The University of Sheffield. This demand is focused around J33 of the M1 at The AMP [Advanced Manufacturing Park] and the neighbouring Sheffield Business Park. The market evidence does not suggest that the subject site is needed to support demand for R&D accommodation in the area." Plans were put in place in 2001 for Tata Steel (then known as Corus) to move its R&D facilities across the borough to the AMP but it never materialised. In 2005, the National Metals Technology Centre (NAMTEC) located onto the Swinden site and used the house as a conference venue. NAMTEC vacated in 2012, joining the University of Sheffield's Advanced Manufacturing Research Centre (AMRC) and moving across Rotherham to the AMP. Wilson adds that the facilities at STC are dated, especially in comparison to those on the AMP, and that to attract office or light industrial uses would require wholesale redevelopment. He concludes: "When Tata Steel vacate this property, then reuse of the existing buildings is virtually inconceivable. It will remain unoccupied and unless demolished will become subject to vandalism and decay." With the relocation decision made and the prospect of reuse for employment unlikely, planners have revisited the idea of housing on the site. Outline planning permission was secured in 2004 for residential development and the conversion of Swinden House with plans showing around 100 houses on land off Beaconsfield Road and around the Grade II listed Victorian building - around a half of the site. 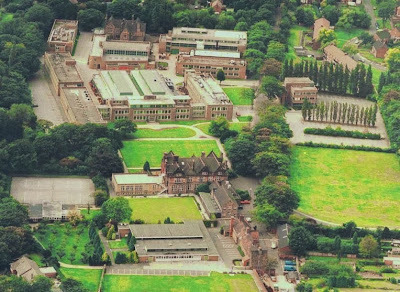 Earlier plans included demolishing the lab buildings and building 190 dwellings and converting Swinden House and the stable building into flats. Sam Silcocks concludes: "The site adjoins a well-established residential area which is in the centre of the southern part of the town and benefits from a range of local services within walking distance. The site does include a Grade II listed building but the residential development of the site would create the opportunity to enhance its setting. "Following the confirmation of this site as a housing allocation, the intention would be to secure planning consent for the redevelopment of the site by the time the site is vacated. It is possible, therefore, that development would commence and dwellings being delivered on the ground within five years." "Britain's second largest steel manufacturer" should be changed to "Europe's second largest steel manufacturer" or "Britain's largest steel manufacturer"